Each month, we select the latest black metal releases with the most interesting artworks. Previous thematic materials were published in January, March, and April. 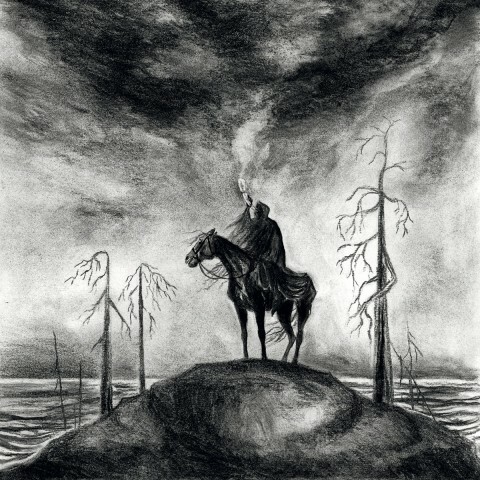 This time, the new selection includes covers by the artists and designers from the USA, Peru, Chile, France, Finland, Spain, Italy, Poland, Turkey, Russia, and South Korea, as well as the cover for Netherbird’s latest release, based on the picture "The Great Day of His Wrath" by the 19th-century English artist John Martin. For the main pic, we used the cover art of "Chaos Philosophorum", the new album by the Dutch black metallers Dystopia, drawn by the American artist Adam Burke who has previously worked on the covers for Sólstafir’s "Berdreyminn" and Vektor’s "Terminal Redux". 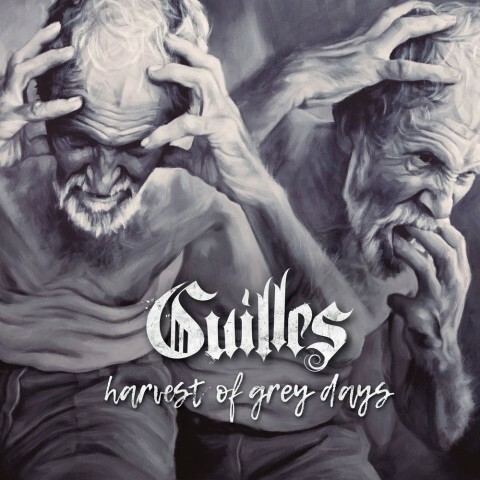 The cover of Guilles’s sixth album "Harvest of Grey Days" created by the artist Nacho Puerto from Castellón de la Plana, Spain. The cover art for the second album "Kelle Surut Soi" from the Finnish-speaking pagan/black metal band Havukruunu. The artist is Heidi K who has been working with the band since 2014. The artwork of the album "A World Within Flesh" from the New York’s band Hellkeeper created by the artist Tronus. 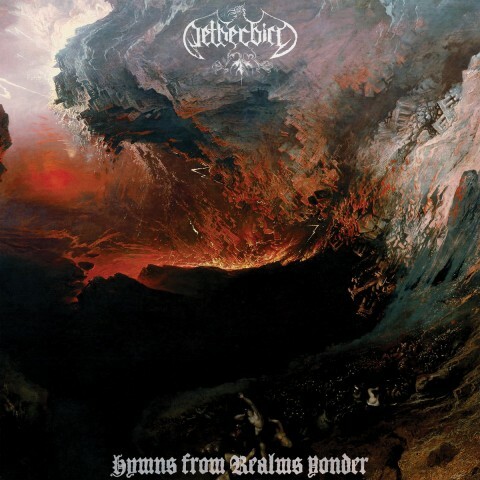 The cover of the compilation "Hymns from Realms Yonder" based on the painting "The Great Day of His Wrath" by the 19th-century English artist John Martin. "Hymns from Realms Yonder" is a new release from Netherbird, the band of Amon Amarth’s ex-drummer Fredrik Andersson. 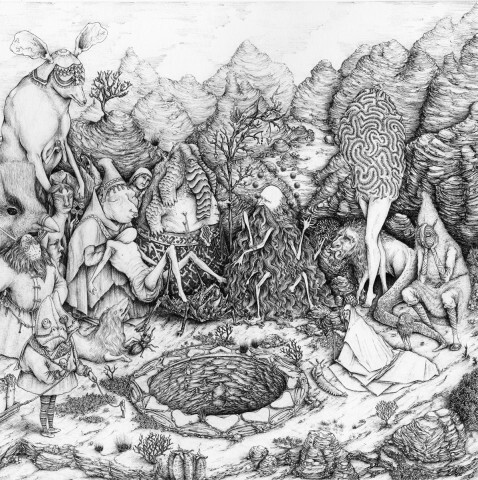 The cover of the self-titled EP from the Icelandic band Nexion, created by Jose Gabriel Alegría Sabogal from Peru, Latin America. The artist also painted artwork for the last album of Czechs Inferno. 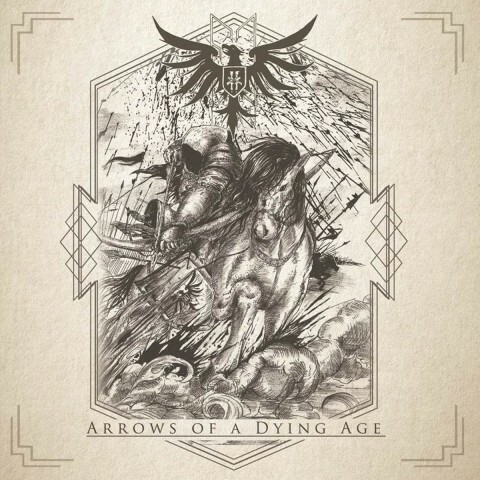 The cover art for the new album "Arrows Of A Dying Age" of the American duo Fin. Created by the South Korean artist and musician Sang Ho Yoshihiro Moon. 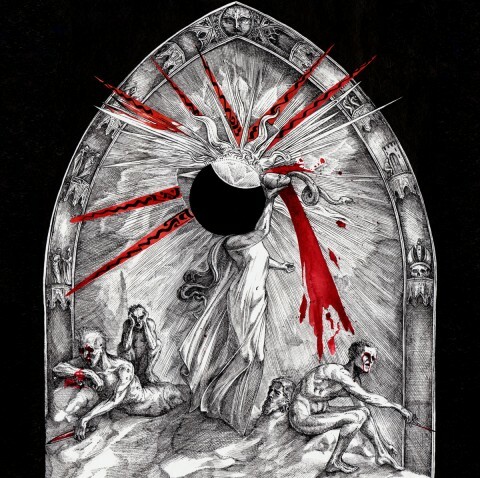 The cover art of the compilation "Retox: Remixes and Rarities" from the American group Nachtmystium. The author is not specified. 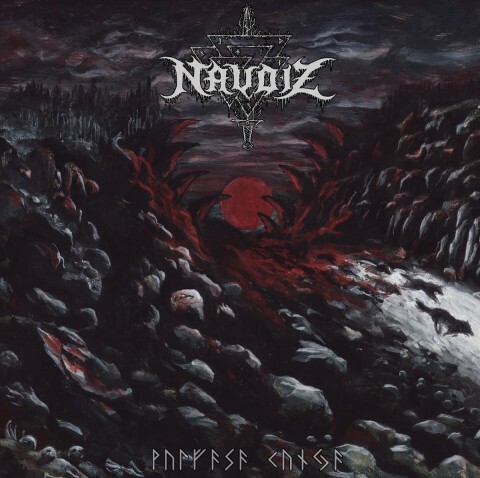 The cover art of the second album "Wulfasa Kunja" by the Italians Naudiz. The author is the Finnish designer Davthvs, who earlier collaborated with Aeternus, Asphyx, Deathspell Omega, Marduk, Sunn O))), and Watain. 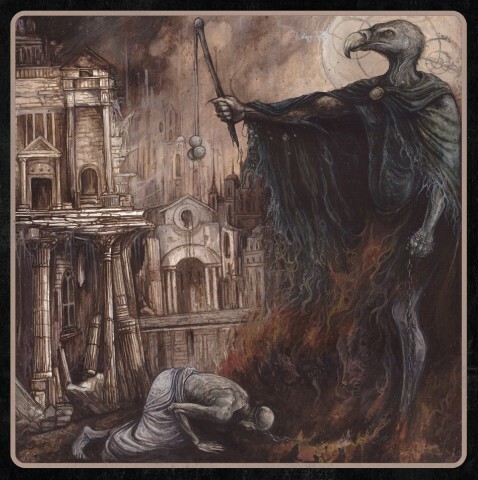 The art of the second album "The Shackles of Mammon" from the British band Craven Idol. The creator is the Chilean artist Daniel Corcuera, whose portfolio includes hundreds of works for different metal bands. The cover for the German duet Vamacara’s debut EP "Mantras for the Manifold" created by Elena Snegotckaia and Vladimir Snegotskii from the Russian project Rotten Fantom. 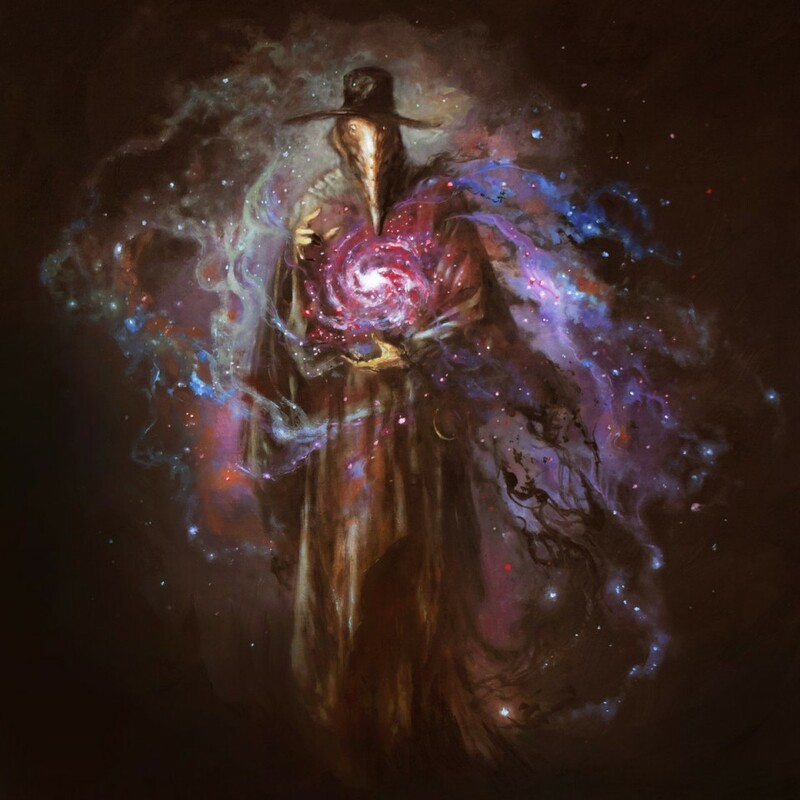 The work of the Italian artist Paolo Girardi, who several years ago re-designed the covers of all Inquisition’s releases for Season Of Mist’s back catalogue. 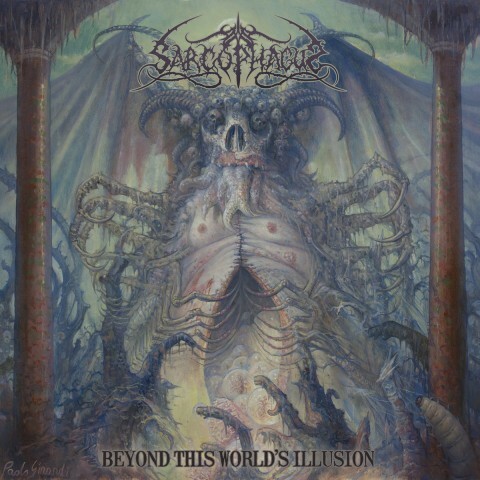 Above is an art he painted for the Turkish band Sarcophagus’ album "Beyond This World’s Illusion". 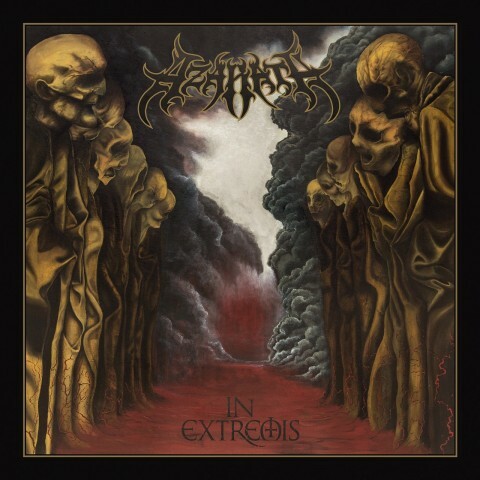 The cover of the sixth album "In Extremis" from the Polish death/black metal band Azarath. 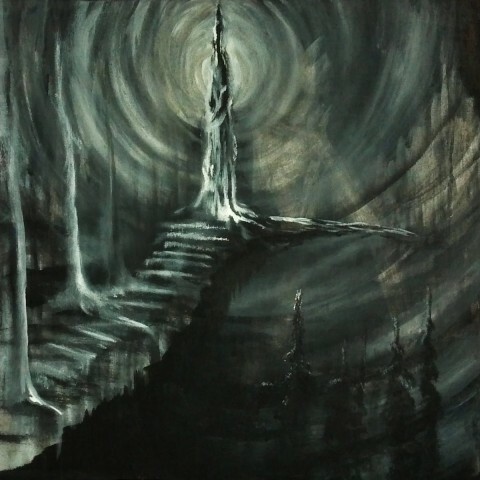 The artwork was created by Marta Promińska (Hypnagogic Painting). 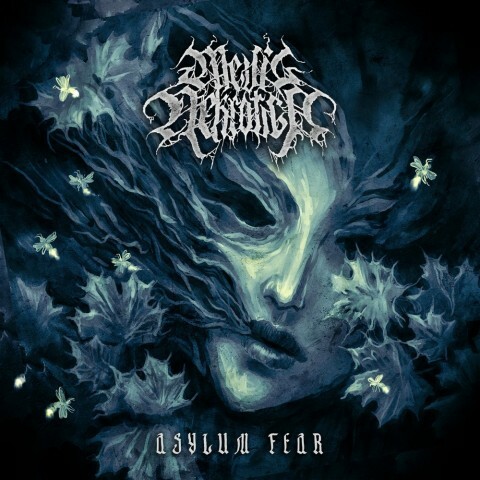 The artwork for the debut album "Asylum Fear" of the Russian depressive/black metal band Mevil Nekrotica. The author is not specified. 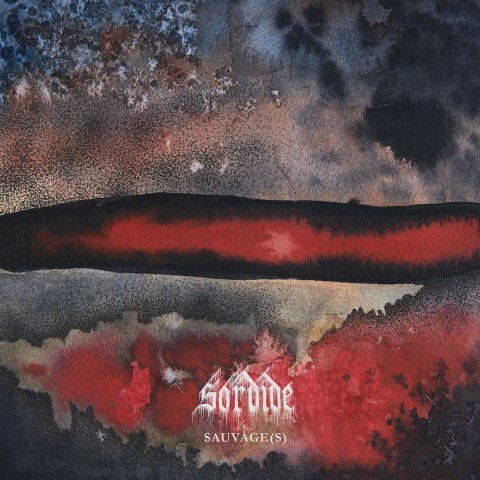 The cover art of the 7-inch split from the French bands Satan and Sordide. The creator is Sordide’s guitarist and vocalist Julien 'Nehluj' Payan. 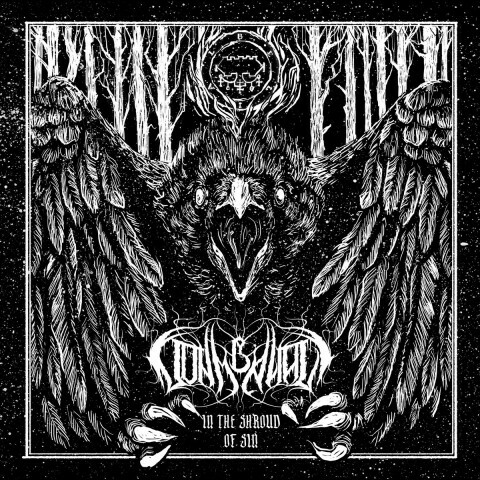 The cover of the debut album "In The Shroud Of Sin" from the Chelyabinsk-based duo Adam Belial. The art was created by Vladimir Prokopief. The cover of the debut album "Desecration of Blood" from the Brazilian thrash/black metal band Nekrokult. The author is not specified. 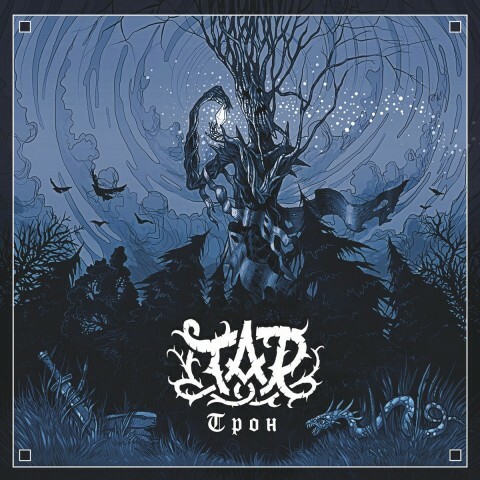 The cover art of the Russian band Tar’s debut album "Трон". The author is not specified. 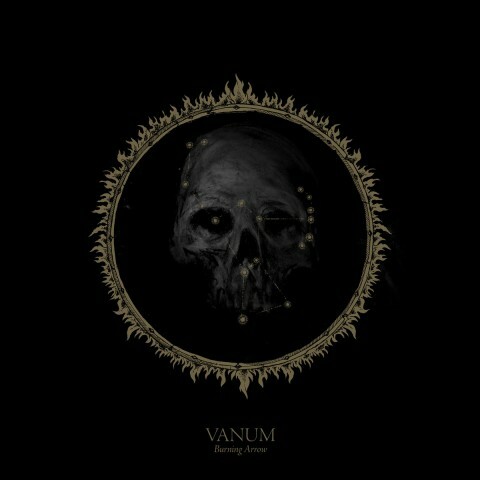 The cover art of the EP "Burning Arrow" from the American duo Vanum. The author is musicians’ compatriot artist Todd Ryan White.